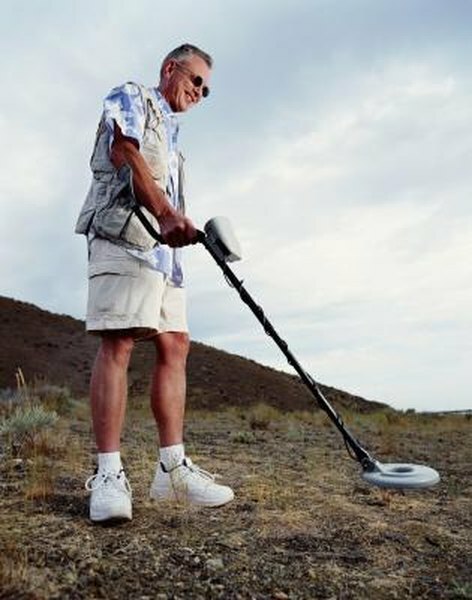 Metal detecting is a fun hobby that can bring in money. 1. What Qualifies as Hobby Expenses on My Tax Return? Metal detecting can start out as a hobby but grow into a business if you find enough treasure. If that happens, the Internal Revenue Service will want its share of your profits. While you must claim your income from this venture accurately, you may also be able to write off the expenses you incur to produce this income. How you report your income and expenses depends on whether your activity is a hobby or a business. If you use your detector for fun and find primarily household items and spare pocket change, it's probably not worth your while to claim the value of what you find. If you have a more advanced metal detector and are more skilled at finding gold or other precious metals used in jewelry, you are more likely to find items of enough value to warrant claiming the income on your taxes, either as a hobby or a business. If you operate your venture as a business and take advantage of available tax deductions, you must have the intention to make a profit. Putting the proper time and effort into your activity would demonstrate this. Better still would be actually earning a profit. While a loss in some years is inevitable, you can only claim a loss two out of the last five years and be classified as a business; you must make a profit in the remaining years. If you do not make a profit often enough, your business will be classified as a hobby. If your metal detecting activities are truly a business, report your earnings using Schedule C or Schedule C-EZ. Schedule C-EZ is for businesses that have no employees or inventory, do not claim a deduction for business use of the home and deduct less than $5,000 in expenses each year with no depreciation on property. All other businesses must use Schedule C. Part I of Schedule C is used to calculate your income from metal detecting, and Part II is for listing any expenses related to the activity. Subtract the expenses from your income and report the total on Form 1040, line 12. Schedule C-EZ follows the same basic process but with less detail. If your metal detecting venture is a hobby, you claim the expenses related to this hobby on Schedule A for itemized deductions. You claim these expenses under miscellaneous itemized deductions, but the expenses cannot exceed the amount of income you have earned from your metal detecting activities. Your miscellaneous itemized deductions also are subject to a 2 percent threshold, meaning you can only deduct the total amount of your miscellaneous itemized deductions that exceed 2 percent of your adjusted gross income. You can deduct more of your expenses if you operate your metal detecting activities as a business. Even if you have not earned money with your business and have lost money, you can operate your business with a plan showing that you intend to make money and specific steps you will take to do so. You may also be able to deduct expenses for business use of the home, but only to the degree that these expenses do not exceed income from the business. Do Rental Property Losses Come off of Your Taxable Income? Must I Have a Receipt for All Deductions?